Last week we discussed my herbal approach to building the body’s immune system with herbs- if you are sick-a time proven approach through thousands of years. This week we will focus on more proven ways to build your immune system while preparing for more and worse flu in the years to come. Most everything you are reading in the “news” services since the 80’s has an agenda based on political and economic disinformation and misinformation. As an example: Ukraine is undergoing a terrible flu situation with a great deal to be learned from their management systems, lifestyles and medical facilities. When we examine the plight of these people we find that reports of their suffering is twisted to ensure nationalistic agendas. Search Goggle: Ukraine flu. Charlatans abound on the Internet who hawk all sorts of promises with the sole purpose of gaining your monies through solicitation, promising you health and comforts through prayers, magic new pills, or secrete cures. Beware. Your body is a gift of nature and it is your responsibility to care for that body. If you abuse that body you will surely become ill and in time be unable to enjoys lifes rewards based on health. This implies that the junk foods are unhealthy. Eat better foods. Avoid soft drinks, Drink alcoholic beverages in moderation. Avoid street drugs. This is of course common sense. I have found in counseling many, many people, turn a blind eye to health and continue to abuse the body. These are the walking dead in our world. Last week we mentioned Astragalus as a strengthening herb. We will show you how to grow this herb next gardening season and you will want to grow several plants. The problem is that Astragalus does not reach root maturity for the first 4 to 6 years. When the plant reaches maturity, you cut the tops off for the compost pile and dig the long roots. You dry the roots. Then slice them and chop them fine, or blenderize into a powder. This is what you add to the soup and stew. You can also just cook the roots and then strain them out then pour the broth of the roots into the stew also. These are tough roots. I think the broth method is best as most of us are not of a bovine heritage to chew and digest these roots. So when you order from your health food store, supply or herbalist, Astragalus you must ask. “How old are these roots?” “How fresh are they?” Unless they are dried and stored in a freezer they will not retain their health giving properties more than a year-maybe two years on the shelf. At this point you realize this is not going to be a popular food in the grocery. One of the absolute most valuable healthful food storage centers is a “Root Cellar”. We will devote an entire article to this simple underground food storage “refrigerator” which stores living plants for your healthy consumption through the winter months. The old way was to cook foods mostly in soups and stews. The famous “pot au feu” was the cast iron pot (now a days-stainless steel) placed on the stove, or in the fireplace, and was perpetually warm and forever simmering. Into this pot was added all the odds and ends of the day kitchen cooking processing so that at anytime the workmen returning could have a nourishing and sustaining meal. I always went for the homemade dark rye bread with the soup with its ever-changing flavors. People complain about calcium deficiencies. Believe me, that soup bone or chicken bones will dissolve quickly with a few tomatoes added, but the calcium and other nutrients are just there waiting for you. I consider a soup to have the consistency of what a modern skimpy stew is and I consider a stew to be so thick that you can stand your spoon upright in it. If we go back in history, very large loaves of bread were sliced open, which was used as a plate. On top of this “Trencher” as it was called, was poured a big dollop of the stew. What was left of the trencher was fed to the dog under the table. Of course the vegetables of yore are not what is offered today, simply put, they do not keep and store as well, but since refrigeration and hybrid plants offer a quicker dollar profit we just become “consumers”, and we do not even know why. With poor nutrition you have a weak immune system; another cause of flu with this weak immune system is not keeping warm. My mother always bought me underwear for Christmas. This is not what you want as kid-but tough-it kept me warm and I seldom had a common cold. I think the last cold-flu symptoms I had was when I was 19 and that was due to the “preventative chicken egg hatched syrup flu shots of that day”. 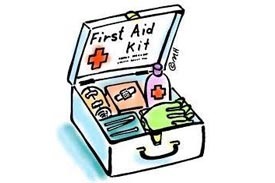 Children are prone to the new flu strains as are most people under 64. Buy warm underwear. Change that body moisture soaked underwear everyday. Take hot baths. We have a rich culture that allows us hot water-use it. You can also pre-warm the underwear and pajamas too. If you have a dryer- use it for warming the nightclothes. Sleeping with a watch cap prevents a heat loss of 30%. Go back in the archives, wherein I wrote articles last winter on how to keep warm. In my living memory it was common to have a dog sleep with you but it made the dog uncomfortable when you married, and he had to sleep elsewhere. However when you become very old, you will be sleeping alone again- so get a warm dog. Remember it is the body’s immune system that fights a virus and it remembers the virus RNA code thereby being quick to respond to an attack of the same virus of combined viruses. Last week I offered to tell you what I have discerned in herbs that will work for your immune system BUT you have to take care of your body while the herbs are working. I prefer to keep tinctures on hand since they keep the longest. Pills are good for a year, dried plants maybe two years. From the dried plants you have to make teas and that means drinking lots and lots of the herbal teas. This is good from the standpoint of forcing liquids into your dehydrated body. Drink warmed clean water-several cups a day. Drink teas, more soups. I make my own tinctures. My first choice is to grow my own plants that I know are fresh and healthy. If I do not have that special plant I order the fresh (I hope) dried herbs from vendors. My favorite is www.mountainroseherbs.com .Now I can just buy the herbs in a tincture on line at www.iherb.com a favorite, or at the local health store BUT this gets to be expensive. I can make a gallon of very strong tincture for what it takes in dollars to buy one small bottle already made up. 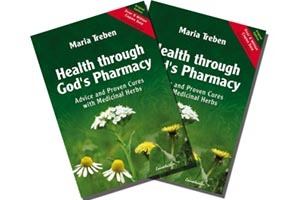 I encourage readers to contact www.horizonherbs.com right now as they have a sale on books, and most notably is “Making Medicine by Richo Cech. Next week we can get back to chickens.